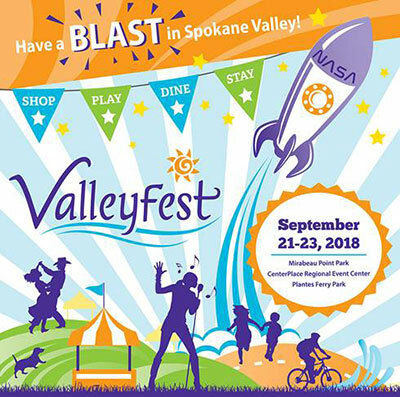 Valleyfest is Spokane Valley's annual celebration of fun, this Friday, September 21 through Sunday, September 23 at Mirabeau Point Park and CenterPlace Regional Event Center. Some of this year's events and activities include: Lions Club Bed Races, Hearts of Gold Parade, Car show, Down Syndrome Walk, Mobius Planetarium, live music and entertainment for the entire family, great food and merchandise vendors, a pancake breakfast, 5 and 10K runs, a Duathlon, a robotics demonstration, lots of kids activities, and much more. For a complete listing of events and information, visit valleyfest.org. Inland Northwest Opera (formerly Opera Coeur d'Alene) presents Mozart's most popular opera, sung in Italian with English supertitles. Chaos and laughs abound in this opera as clever servants outwit arrogant masters and crafty women outsmart foolish men during one crazy day as they prepare for a wedding...or two. Its themes of social and sexual tension are relevant today. This production features rising opera star and Hayden, Idaho native, soprano Madison Leonard, a 2018 Grand Finals Winner of the Metropolitan Opera National Council Audition, and nationally recognized opera star in other key roles. The performance is fully staged with live orchestra. Performances are Friday, September 21 at 7:30pm and Sunday, September 23 at 2pm, at the Martin Woldson Theater at the Fox. Tickets available at the Box Office, or by calling 509-624-1200. They are also available online at www.ticketswest.com or 800-325-SEAT. There be dragons at Holly Swanson's Spokane Gallery 409 South Dishman Mica Road now through October 30. 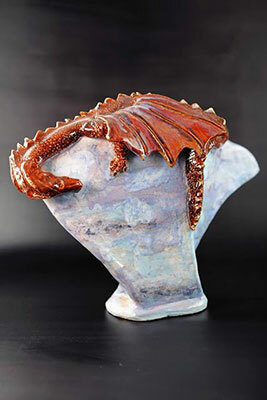 See a wonderful collection of dragon sculptures wall art, jewelry, dragon eye pendants and more. Email spokanegallery@gmail.com for more information. Rascal Flatts plays Northern Quest this Saturday, September 22 at 7:30pm. Special Guest is Trent Harmon. Rascal Flatts remains as one of today's hottest country music groups. 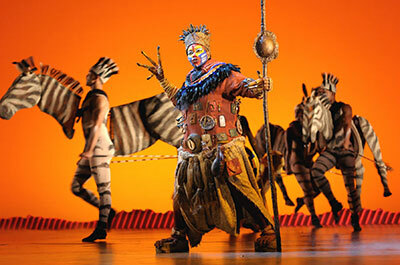 Disney's spectacular show Lion King returns to the INB Performing Arts Center (soon to have a new name) January 23 through February 3. Tickets go on sale this Friday, September 21 at 10am. Ticketswest has your seats. Go to www.ticketswest.com or 800-325-SEAT. 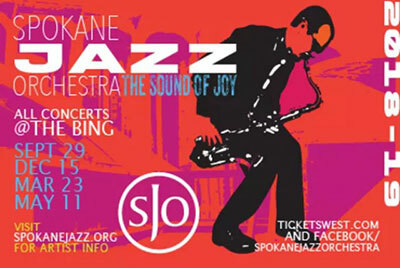 The Spokane Jazz Orchestra will launch their 2018-19 'Jazz: The Sound of Joy' Season on Saturday, September 29 at 7:30pm at the Bing Crosby Theater. The concert will feature guest artist Jeff Coffin of the Dave Matthew's Band. Jeff is a three-time Grammy award-winning artist and globally acclaimed saxophone player and composer. The season opener will feature Jeff's unique southern jazz sound and many of his own compositions, as well as the SJO performing many big band classics. Tickets are still available for the entire 2018-19 Season and individually for the September 29 concert. Tickets can be purchased at www.ticketswest.com or 800-325-SEAT. The acclaimed film, The Red Violin, will have a special showing at the Garland Theater this Friday and Saturday, September 21 & 22. This film, is a 1998 drama film directed by Francois Girard and starring Samuel L. Jackson, Greta Scacchi and Sylvia Chang. It spans four centuries and five countries as it tells the story of a mysterious red-coloured violin and its many owners. 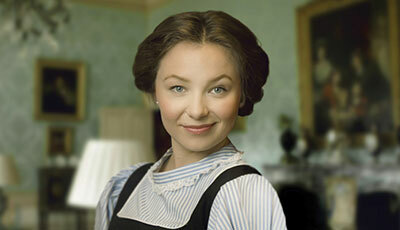 Show times at the Garland are are Friday 7pm and Saturday 2pm. For more information, visit garlandtheater.com. And speaking of The Red Violin, the Spokane Symphony will have a special performance with celebrated violin virtuoso Elizabeth Pitcairn, owner of the legendary 1720 Red Mendelssohn Stradivarius, or Red Violin, and will perform a work from the film, The Red Violin with the Spokane Symphony, Morihiko Nakahara conducts.